With a fall feeling in the air, it’s time to break out your favorite sweaters and boots — and add a few fresh pieces to the mix. 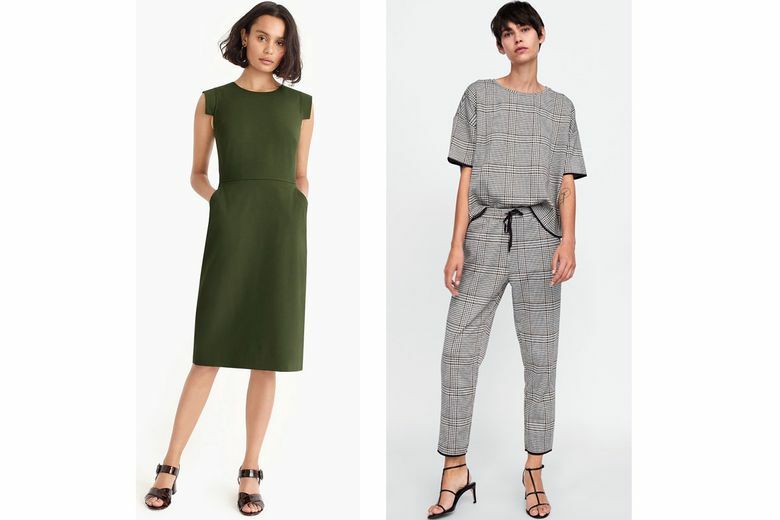 These versatile finds will warm up your work wardrobe, while carrying through to a multitude of fall occasions. Everlane The Clean Silk Oversized Shirt ($110–$120 at everlane.com). 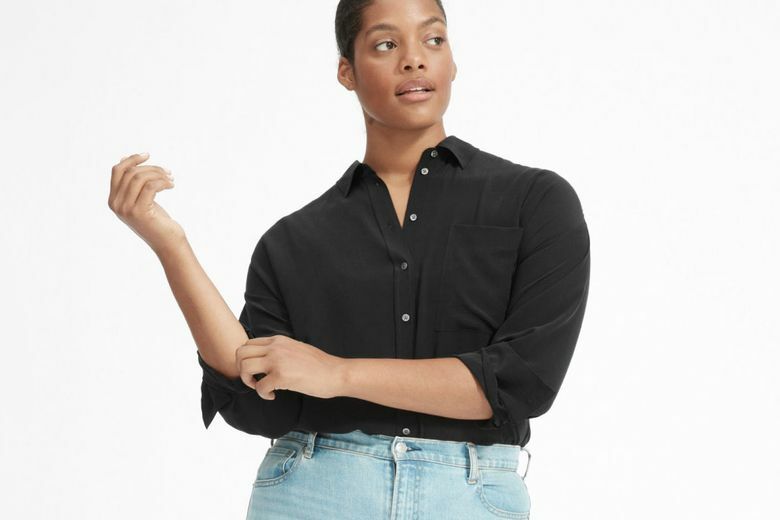 Simple and elegant in any work setting, this classic silk shirt pairs easily with slacks, jeans and skirts. Ethically made, it’s available in black, white, olive and three colorful striped options. 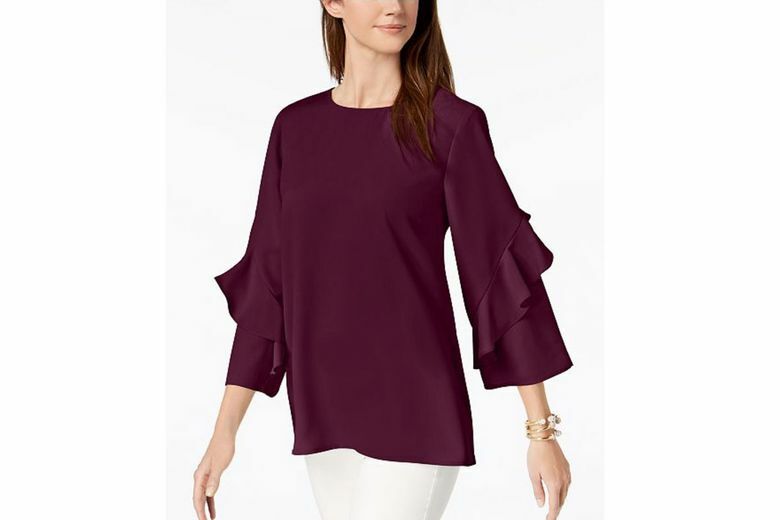 Alfani Ruffled-Sleeve Zip-Back Top ($69.50 at Macy’s). Soften things up with a romantic blouse detailed with on-trend flouncy ruffles on the sleeves. An exposed back zipper adds some interest from behind, and it’s available in six colors. Zara Plaid T-Shirt ($29.50) and Plaid Jogging Pants ($36, both at zara.com). Make a statement by pairing this set featuring an all-over houndstooth pattern — the “it” print of the season. Not feeling that bold? Mix and match the pieces with solids for a more subtle effect. J.Crew Résumé Dress ($188). This body-skimming sheath, made from flattering stretch wool, will never go out of style. It pairs perfectly with simple pumps for work and dresses up with bold jewelry for an evening out. Available in four neutral colors. Bonobos Jetsetter Slim Fit Stretch Wool Blazer ($350) and Jetsetter Slim Fit Flat Front Stretch Wool Trousers ($200, both at Nordstrom). If you haven’t purchased a new suit in a while, consider this modern style that’s casual but polished, with a bit of stretch for comfort. Available in six neutral hues.